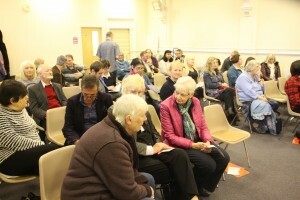 We were invited to present two sessions at What’s Your Story Chorley on Saturday 28th April. Our first session was on the ground floor of Chorley Library, at 1 pm. 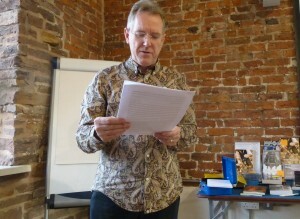 We enjoyed an introduction from Dave on the nature of story telling and writing, and readings from Lynne, Kev, Ian. Walter, Dea and Greg. We had a stall in the foyer selling books, chapbooks, cards and event tea towels featuring the work of CADWC members. Many thanks to Sylvia, Jane and Jeanette for running the stall. At 3 pm, we moved to the Royal Bank of Scotland where Jane, Greg and Lynne read their work. August 2017 meeting – Michael Barrett and The Invincibles. The book is the story of Preston North End’s ‘Invincibles’ team of the 1880s, it’s told by an author whose love of the sport and the team is matched only by his attention to historical detail. It tells the story of how the team and their manager changed the nature of football forever, developing the modern game. Michael told us why he wrote the book, why he decided to present it as a graphic novel, and how his detailed historical research helped to produce a book to be proud of. The illustrations are by David Sque, who illustrated Roy of the Rovers. 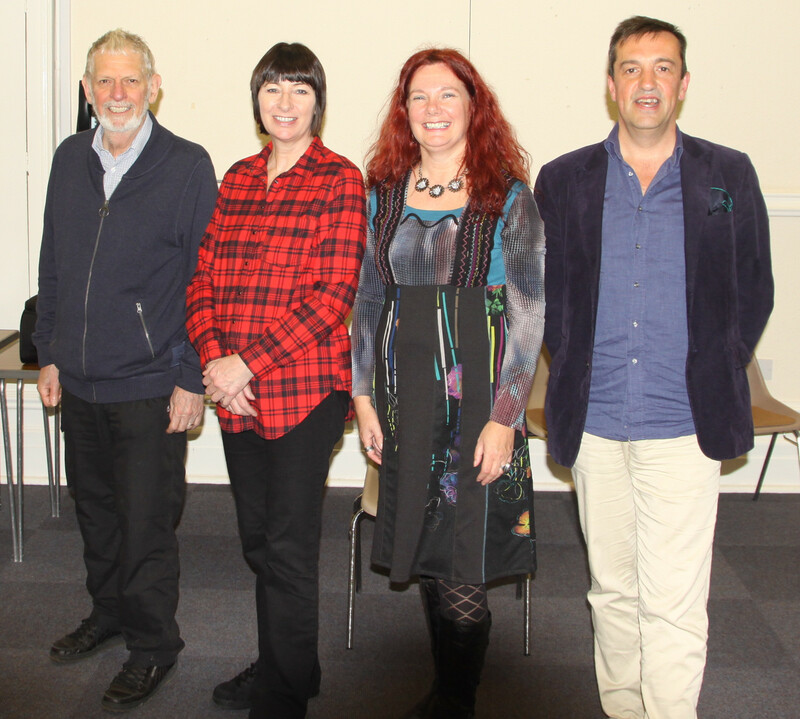 Write Now, the publishing event held annually by Chorley & District Writers’ Circle, was held on Saturday 22nd October from 1pm at St Mary’s Club and Function Room, West St, Chorley, PR7 2SR. Zoe Sharp, the traditionally published and self-published crime author whose character Charlie Fox was hailed by Lee Child as the female equivalent of his creation Jack Reacher. 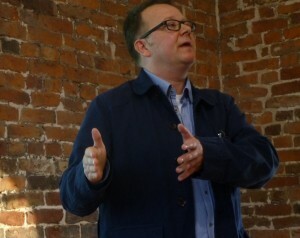 Jake Hope, the children’s writing consultant and judge of children’s writing competitions such as the Costa and Carnegie. Katherine Armstrong, senior editor with new London publishers Bonnier Zaffre. A J Wright, the CWA Dagger-shortlisted, Croston-based historical author and retired schoolteacher. 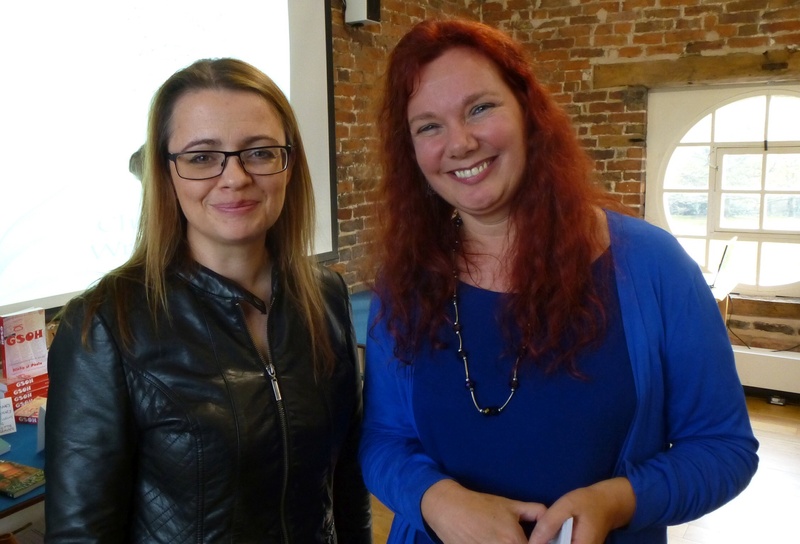 High Profile Novelist Carys Bray to Speak at Chorley Writers Open Event – August 2016 meeting. Chorley & District Writers’ Circle are welcoming high-profile novelist Carys Bray, from Southport, as speaker at their August meeting. Carys was shortlisted for the Costa First Novel award and the Desmond Elliot prize in 2014 with A Song for Issy Bradley, a story told from multiple viewpoints within a Mormon family after the death of a child. This summer, Carys’s second book, The Museum of You, about a young girl, Clover, who decides to discover more about the mother who died when Clover was a baby and creates a museum to her in a spare bedroom, was published to high acclaim. The event is open to anyone interested; readers and writers alike. We meet on the last Tuesday of every month (except December) Interested in learning more? Simply come along. This Saturday, 23rd April, we’ll be at ‘What’s Your Story, Chorley?’ the annual event for writers and readers in the Chorley area. We’ll be in the second floor meeting room at Chorley Library, and would love to see you there. 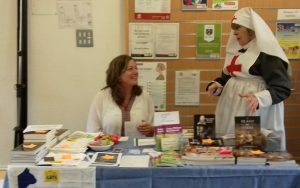 We’ll also have a stand in the library foyer with information about Chorley and District Writers’ Circle. Dea Parkin and John Winstanley will be giving a series of short talks on the theme of publishing and selling. Dea is very experienced in the publishing world, and John has self published several books on a variety of themes. The day also sees the launch of our 2016 short story competition, leaflets will be available in the library foyer on Saturday. 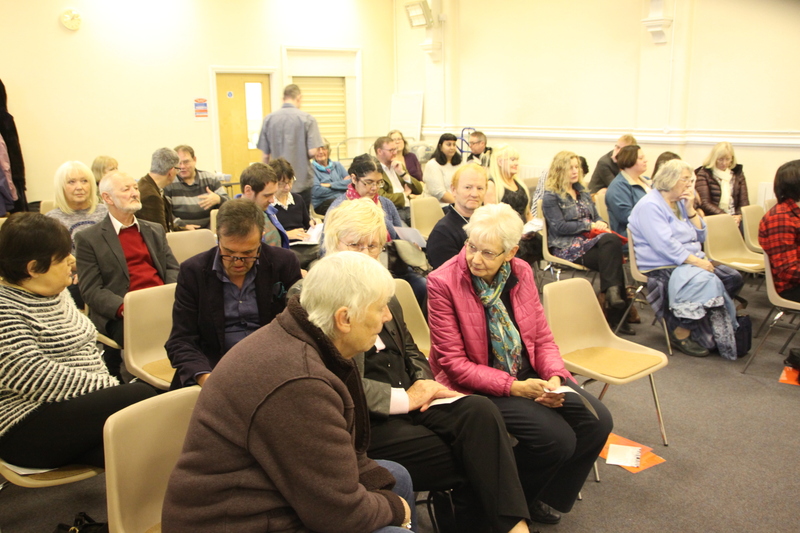 In November 2015 we once again held our public event Write Now. This year it took a different format – we had two quality speakers, Robin Jones and Cath Staincliffe, who talked about their lives as a publisher/agent and as an author and scriptwriter respectively. And we also held a Short Story Slam. If you’ve not watched a Slam before, there are 12 entrants, each with a very short story of not more than 200 words. The first round consists of six head-to-head clashes, the second three and at the end there’s a three-way final, with £100 and glory up for grabs. The audience gets to vote on the winner of each bout. Our twelve entrants came from across Lancashire with six from our Circle, two of whom were talented and lucky enough to get into the final. And it was one the Circle’s members, Cathy Lennon, who won first prize! Congratulations to all the slammers who were brave enough to take part and to the finalists, Cathy, Trefor Lloyd and Tim Mullin. Slammer finalists Trefor Lloyd, Tim Mullin and Cathy Lennon with Circle’s Chair Dea Parkin, and below, the audience gathers. Carys Bray, whose book A Song for Issy Bradley has been announced as shortlisted for the First Novel category of the Costa Book Awards 2014, was one of the quartet of high quality speakers who informed and entertained at our eventWrite Now at the Coach House in Astley Park on Saturday 15 November. The other three speakers were just as entertaining and informative. Hannah Sheppard, a literary agent from London,and gave useful advice about how to find and approach an agent that’s right for your manuscript. A number of attendees were able to talk to Hannah informally after her speech aboutsubmitting their work to her. Hannah recommended using professional critique services such as Chorley-based Fiction Feedback www.fictionfeedback.co.uk (who judge our annual writing competitions) for authors looking to lick their novel into shape before submitting to an agent or publisher. 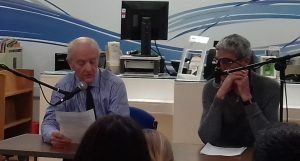 Kevin Duffy, owner of independent publisher BluemooseBooks, entertained his audience with riveting stories of the publishing world and also gave forthright views on the chances of unknown authors getting a publishing contract with the large companies. He talked about how Bluemoose’sapproach to publishing – putting the quality of stories first and foremost – and again several attendees got the chance to pitch their work. The fourth speaker was our vice chairman Dave Harrison, of Chorley-based Open Circle Publishing. 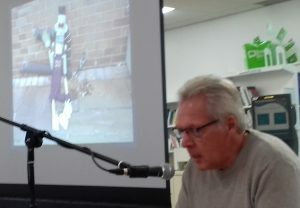 Dave, who has written several crime novels featuring Manchester accountant Jenny Parker, told his audience about his own career as a writer. 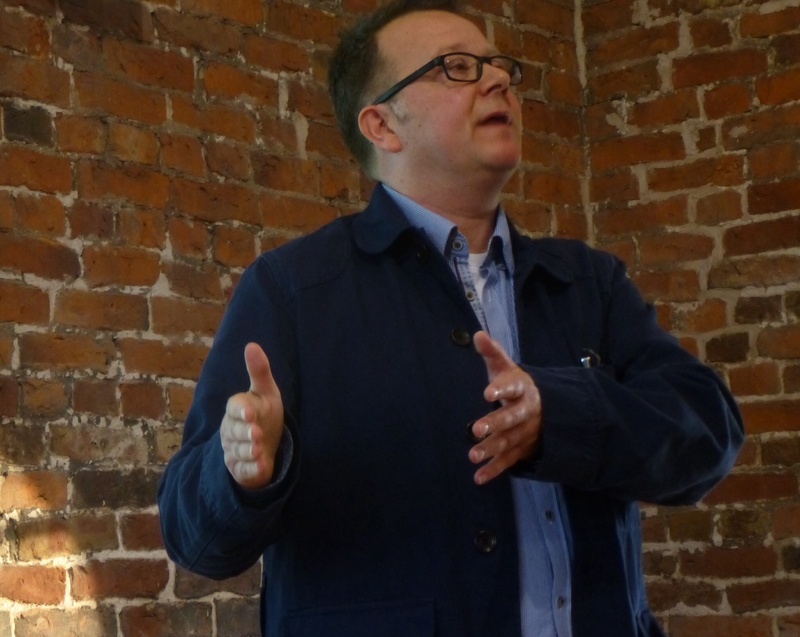 He also shared various fascinating facts and figures about self-publishing in particular, and about how to give yourself the best chance of sales. He explained more about how Open Circle, at www.opencirclebooks.com have benefitted from the help of a bestselling author, and have now launched an author services arm offering top quality production, editing and distribution services to authors. 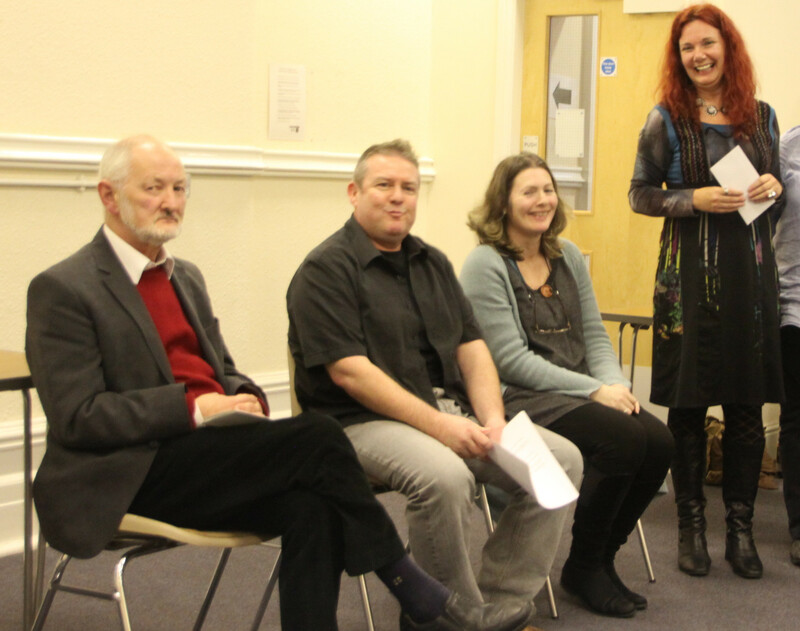 Open Circle are holding a self-publishing seminar in January, and also sponsor Chorley Writers’ Circle. During the afternoon the results of our national short story competition on the theme of ‘Your Sins Will Find You out’ were announced. Two of the eight shortlisted authors, John Rutter and Tony Noon, are from Preston and Tony is a member of the Circle. The winning story, Russian Dolls, by Clare Marsh from Kent, was read out by the Circle’s own John Winstanley and later Clare was delighted to receive news of her win at her birthday tea, putting the icing well and truly on the cake. Congratulations to all those shortlisted; we had over 60 entries so it was a remarkable achievement. The three winning stories are published in Aware 2014.